At JF Painting LLC, we understand that hiring interior house painting contractors can be a difficult decision. We earn the trust of our each of our customers. We do this by making sure your interior painting job is finished correctly and on time. Before we begin painting, we will meet with you in person. Then we answer all your questions regarding your project. Our painters use the best equipment for your project. 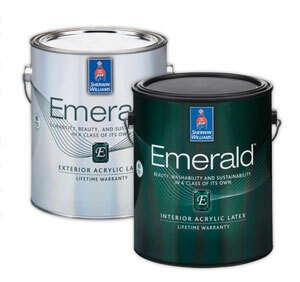 We also use highest quality Sherwin-Williams paints available for the best results. Our painting professionals double check both your color choices and our own work. We review everything with you to insure we understand percisely what you want. Any objects or surfaces will be covered and protected that are not being painted. All painting surfaces will be carefully prepared. This is because we know that prep work is the most important aspect of any painting job. As a result, your interior painting project is practically guaranteed to be a virtual work art which you can enjoy for years to come. JF Painting is an New Jersey based exterior house painting and renovation company. We know what it takes to deliver a high-quality painting project. Our goal is to keep your home looking great for years to come. Also, we keep your customer experience as stress-free as possible. We arrive on time. Our staff will respect your home and keep our work area neat. JF Painters go that extra mile to ensure your home is undisturbed through the painting project.